The information we collect is used by us to contact visitors for scheduling and energy auditing purposes. We will not share this information with any other organization without authorization of the owner of that information. We collect the e-mail addresses, phone numbers and addresses of those who communicate with us via e-mail and through information volunteered by you, such as information requests and/or audit registrations. 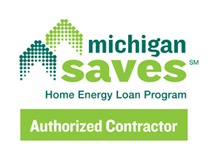 If you do not want to receive e-mail or phone calls from us in the future, please call us at 248-770-7575 or fill out our contact form indicating that you do not want to receive e-mail or a phone call from Accurate Energy Audits. Our customers' privacy is very important to us.